Exactly, dimensionally stable and resistant to wear. Preassembled modules with all components. 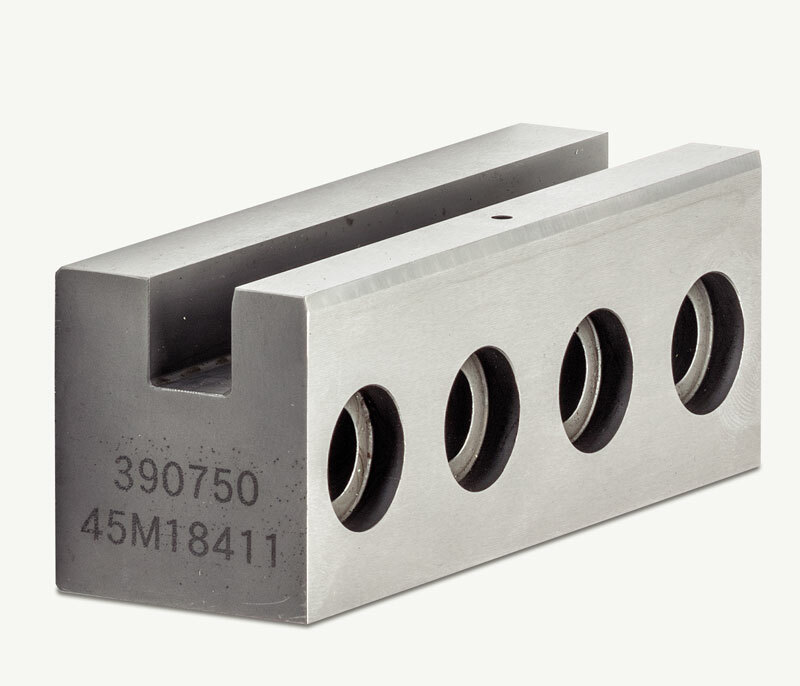 TKM clamping bars ensure the exact fixing and positioning of bending tools in mechanical press brakes to meet the requirements of modern and precise bending techniques. The precision machined surfaces guarantee the accuracy of the clamping bar and provides the deformation and abrasion resistance that are required for accurate clamping. Tool holders, carrier plates, wearparts, and ledges for crown bow complete our offer for tool clamping systems. At the client‘s request the individual parts can be pre-assembled into a functioning assembly group, which is ready-to-use and already includes all the pneumatic- and hydraulic components.